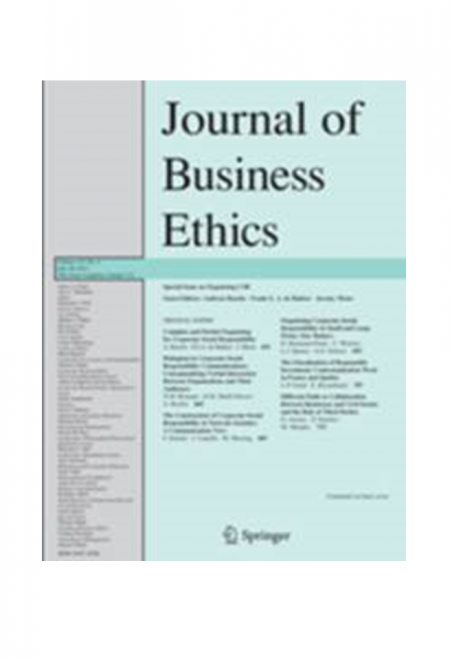 Frémeaux S., Michelson G., » The Common Good of the Firm and Humanistic Management: Conscious Capitalism and Economy of Communion », Journal of Business Ethics, 145 (4), 2017, pp. 701-709. Businesses have long been admonished for being unduly focused on the pursuit of profit. However, there are some organizations whose purpose is not exclusively economic to the extent that they seek to constitute common good. Building on Christian ethics as a starting point, our article shows how the pursuit of the common good of the firm can serve as a guide for humanistic management. It provides two principles that humanistic management can attempt to implement: first, that community good is a condition for the realization of personal good, and second, that community good can only be promoted if it is oriented towards personal good. To better understand which community good can favor personal good and how it can be achieved, we examine two recent humanistic movements—Conscious Capitalism and Economy of Communion—that strive to participate in the common good. From the analysis of these two movements, we identify a shared managerial willingness to adopt the two principles. Moreover, we also reveal that Conscious Capitalism and Economy of Communion present different ways of linking community good and personal good, and therefore, different means exist for firms to participate in the common good.